So how’s everyone doing on their socks? 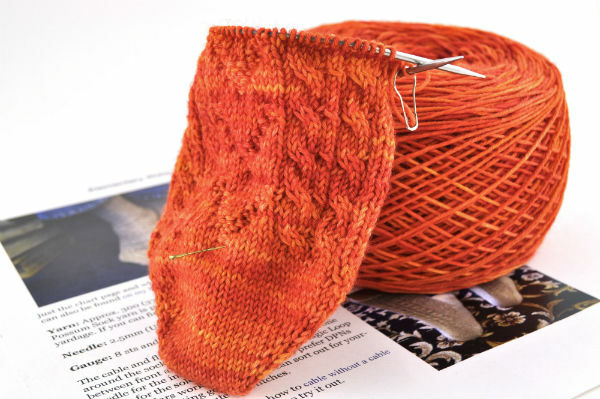 Anyone need a little encouragement to start on the second sock? 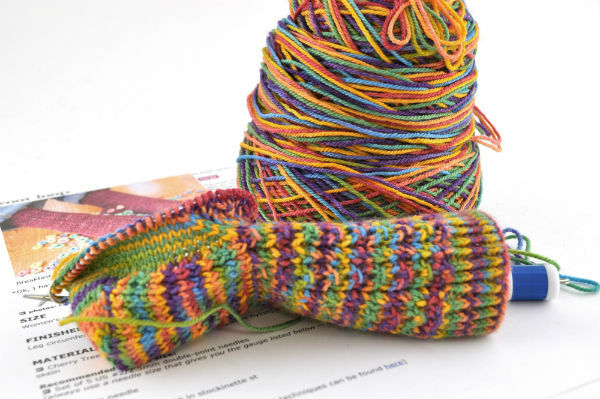 Just think of how cozy those socks are going to be once they’re done! Let’s take a moment to see how we’re all doing around the store – maybe that will help you feel better about your progress! Emily is somehow leading the ESK pack so far with her pair in Lorna’s Laces Solemate in colorway Rainbow. The color repeats are balancing surprisingly well and look really cute in this pattern! Jess’s Froot Loops aren’t far behind! She’s using Fleece Artist Merino 2/6 in colorway Boreal. 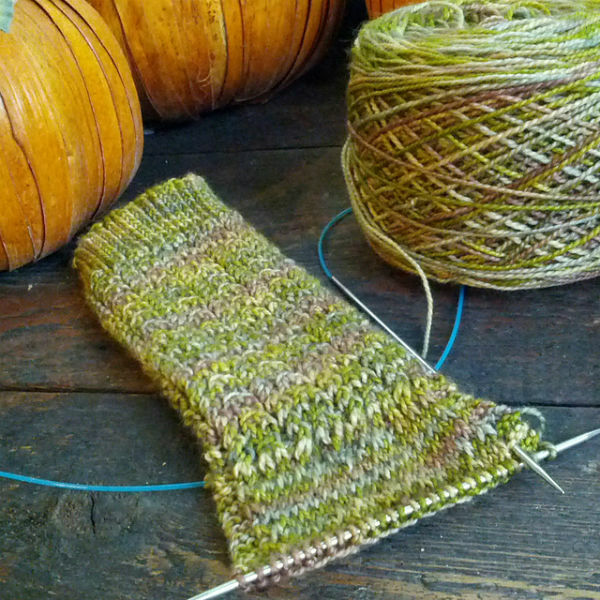 The color is working up so nice and the yarn is so squishy – perfect for this pattern! Erin’s socks encountered a few obstacles (Starry abandoned due to gauge, Cables accidentally worked on the bottom of the foot) but now she’s going strong and getting close to the heel! She’s using Sweet Georgia Tough Love Sock in Glacier. Tiffany’s Elementary Watsons stumbled when she had to start her toe a second time, but since then she hasn’t run into any problems! The yarn (Numma Numma The Usual) is showing off the stitches quite nicely and the color (Chinese Takeout) is gorgeous! Feel free to join in for more than one pair if you’re feeling ambitious! 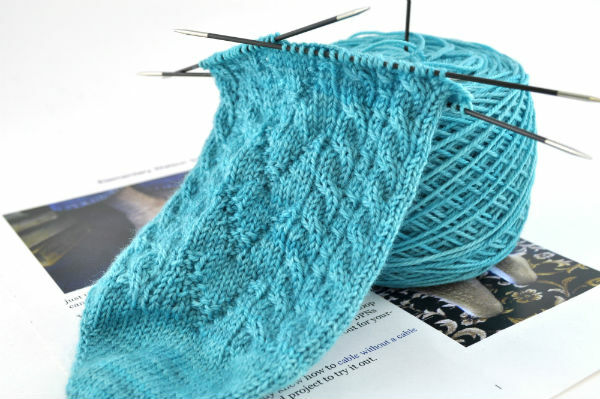 Keep up with our progress, share your successes & frustrations, and generally get to know your fellow knitters on our Ravelry group! Good luck and keep at it, everyone! This entry was posted in Knit-A-Long by emilyesk. Bookmark the permalink.